Bayesian methods combine the evidence from the data at hand with previous quantitative knowledge to analyse practical problems in a wide range of areas. The calculations were previously complex, but it is now possible to routinely apply Bayesian ;methods due to advances in computing technology and the use of new sampling methods for estimating parameters. 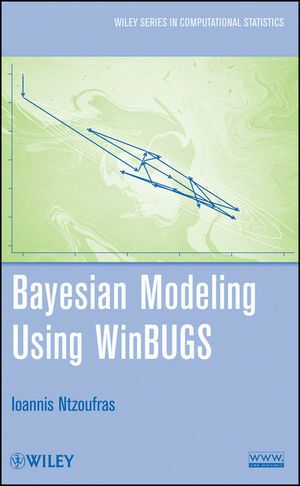 Such developments together with the availability of freeware such as WINBUGS and R have facilitated a rapid growth in the use of Bayesian methods, allowing their application in many scientific disciplines, including applied statistics, public health research, medical science, the social sciences and economics. 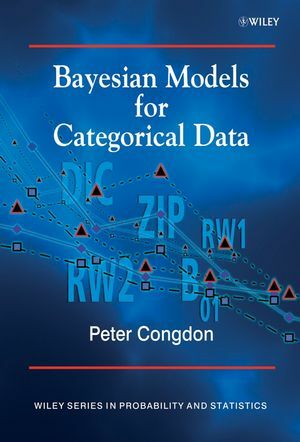 Following the success of the first edition, this reworked and updated book provides an accessible approach to Bayesian computing and analysis, with an emphasis on the principles of prior selection, identification and the interpretation of real data sets. Provides an integrated presentation of theory, examples, applications and computer algorithms. Discusses the role of Markov Chain Monte Carlo methods in computing and estimation. Includes a wide range of interdisciplinary applications, and a large selection of worked examples from the health and social sciences. Features a comprehensive range of methodologies and modelling techniques, and examines model fitting in practice using Bayesian principles. Provides exercises designed to help reinforce the reader's knowledge and a supplementary website containing data sets and relevant programs. Bayesian Statistical Modelling id ideal for researched in applied statistics, medical science, public health and the social sciences, who will benefit greatly from the examples and applications featured. The book will also appeal to graduate students of applied statistics, data analysis and Bayesian methods, and will provide a great source of reference for both researchers and students. Peter Congdon is Research Professor of Quantitative Geography and Health Statistics at Queen Mary University of London. He has written three earlier books on Bayesian modelling and data analysis techniques with Wiley, and has a wide range of publications in statistical methodology and in application areas. His current interests include applications to spatial and survey data relating to health status and health service research. His recent publications include work associated with the British Historical GIS Project (University of Portsmouth) and international collaborative work on psychiatric admissions in London and New York. Chapter 1 Introduction: The Bayesian Method, its Benefits and Implementation. Chapter 2 Bayesian Model Choice, Comparison and Checking. Chapter 3 The Major Densities and their Application. Chapter 4 Normal Linear Regression, General Linear Models and Log-Linear Models. Chapter 5 Hierarchical Priors for Pooling Strength and Overdispersed Regression Modelling. Chapter 6 Discrete Mixture Priors. Chapter 7 Multinomial and Ordinal Regression Models. Chapter 8 Time Series Models. Chapter 9 Modelling Spatial Dependencies. Chapter 10 Nonlinear and Nonparametric Regression. Chapter 11 Multilevel and Panel Data Models. Chapter 12 Latent Variable and Structural Equation Models for Multivariate Data. Chapter 13 Survival and Event History Analysis. Chapter 14 Missing Data Models. Chapter 15 Measurement Error, Seemingly Unrelated Regressions, and Simultaneous Equations. Appendix 1 A Brief Guide to Using WINBUGS. 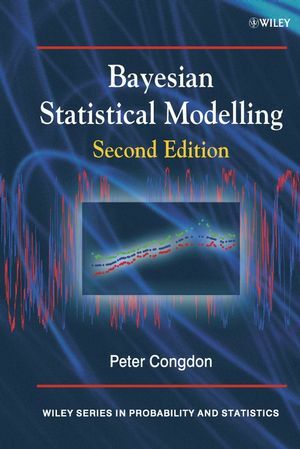 Bayesian Statistical Modelling Visit the companion website to access the data and programs discussed in the book.